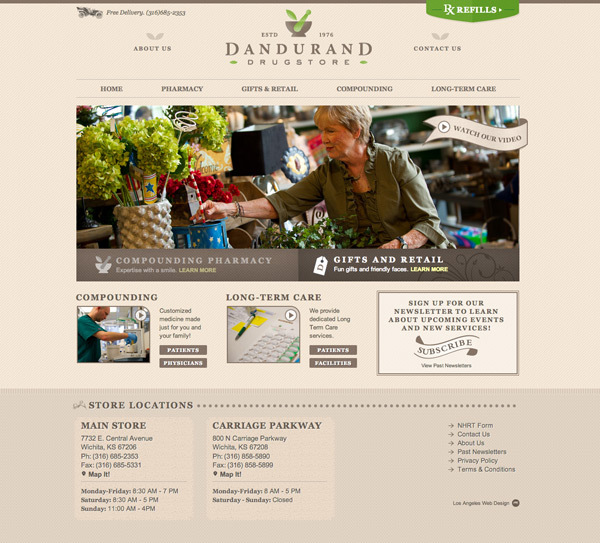 Dandurand Drugs, a boutique compounding pharmacy and gift shop, asked Media Contour to redesign their website so that it better reflected their store’s established brand. Inspired by their store’s rich visual language, we designed a warm, friendly site where customers could learn both about compounding services, and also submit patient documents and refill prescriptions conveniently. 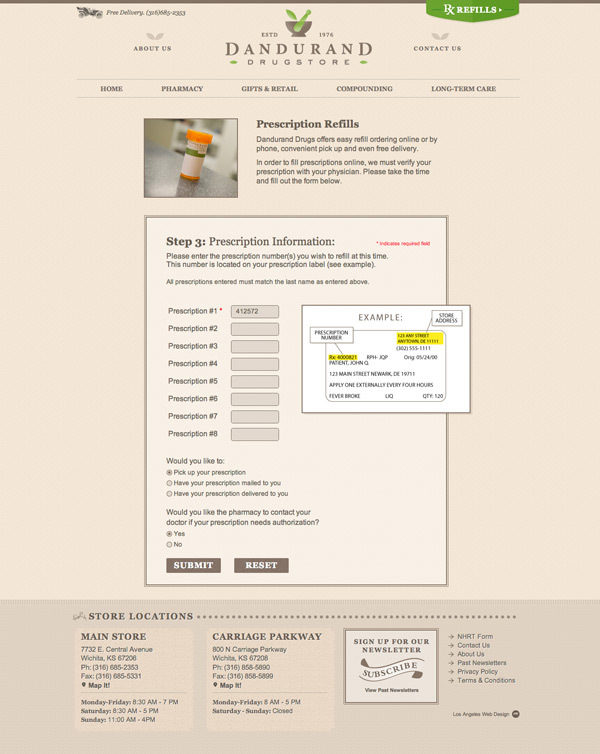 For doctors, we created a database of ailments and compounding formulas to help them prescribe their patients. To round off the user-experience, we created four promotional videos to walk the site’s visitors through each of their services. With a 1st page Google ranking for Pharmacy and Compounding Pharmacy in the Wichita area, Media Contour helped Dandurand Drugs further establish a strong presence locally: where it counts. Dandurand Drugs is already a trend setter in pharmacy, selling unique and boutique gifts that get people talking around the city. 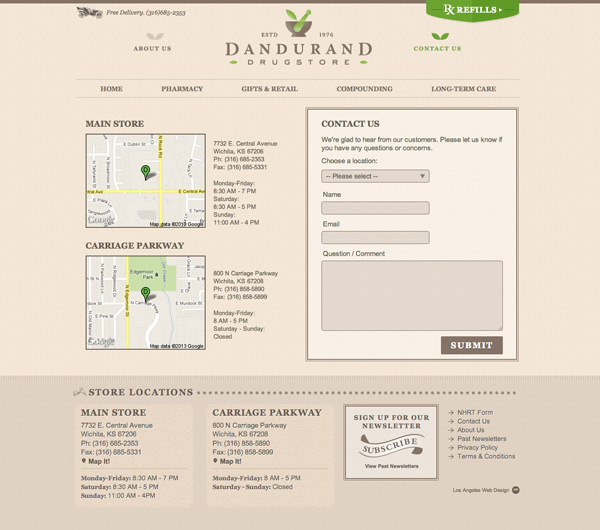 Media Contour helped make Dandurand’s a trendsetter once again with a unique one-of-a-kind pharmacy design and pharmacy website nothing of which had been done in the industry. 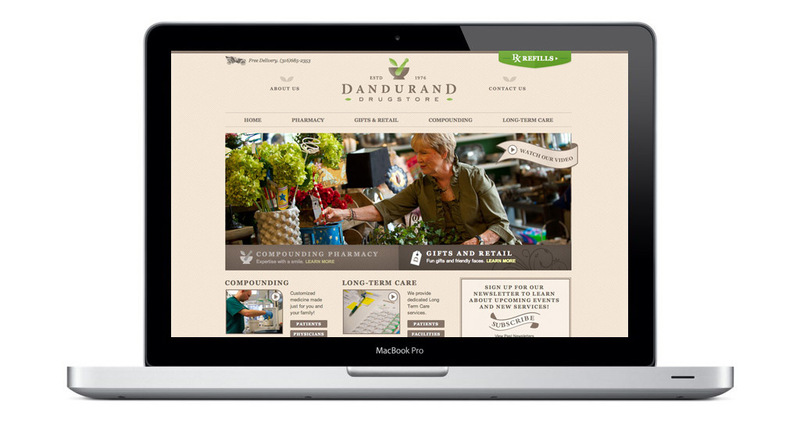 Media Contour was able to streamline user experience for Dandurand’s very different types of users: retail customers and physicians. Choose Media Contour, a Los Angeles website design studio to forge your online presence and support your business goals. We would love to discuss being your new partner. Please contact our studio or give us a call at 1.323.522.6004.